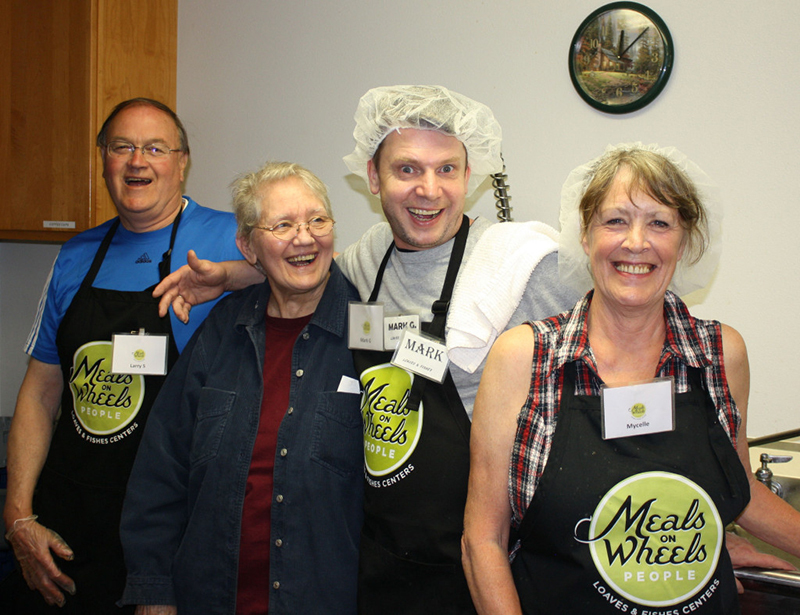 In 2010 the Metropolitan Community Church of Portland began partnering with Meals on Wheels in the creation of a LGBT friendly meal site. 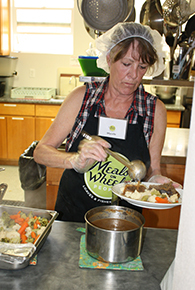 Join us any Wednesday between 10:30 am and 1:00 pm, where homemade soups are offered along with healthy meals. 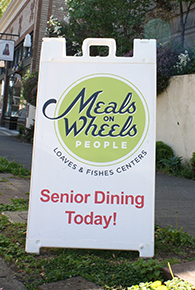 Suggested donations per meal is $3.00 for seniors and $7.00 for those under 60 years of age. 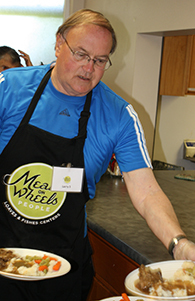 If you would like to be involved with our Meals on Wheels ministry, please email admin@mccportland.com for more information. From left to right: Larry Snell, Karen Lea Rose (aka Mama Bear), Mark Goldsby and Mycelle Dean. 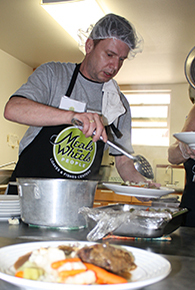 Your contribution to the mission of MCC is so important. Giving through PayPal is easy, secure and free. This will be added to our General Fund unless otherwise noted. Please indicate which fund you are donating to with a note on the PayPal donation. Copyright © 2019 Metropolitan Community Church of Portland. Powered by churchthemes.com.